Aquascaping your freshwater aquarium can be a fun and enjoyable part of building the perfect fish tank. Not only does it give you the opportunity to chose what sort of theme you want for your tank, but it gives owners the chance to chose between live plants and fake. While both have their pros and cons, those who choose live plants have the additional decision of picking which plants are best for their fish and freshwater aquarium. 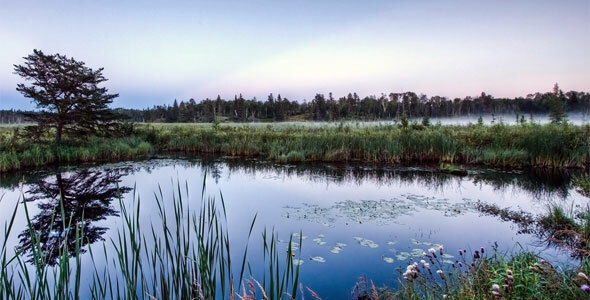 Here are some of the best aquatic plants for beginning fish owners. They are easy to care for and provide an excellent landscape for your tank. 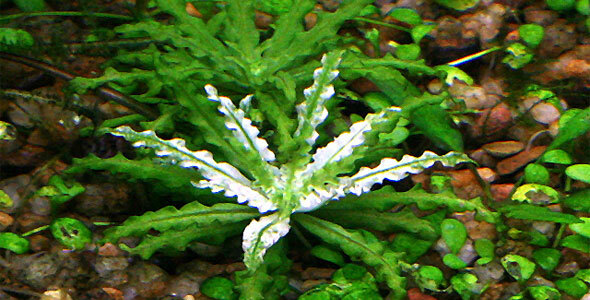 Downoi is a beautiful beginner plant for the freshwater aquarium. It has lovely, curling leaves that help it to stand out. Used in the foreground of an aquarium because of its short height, it provides color and variation. This is a plant that tends to handle wide variations in water conditions because of the situations it is forced to adapt to in its native Thailand during the raining season. Clusters should be divided and planted in the substrate so that a carpet forms. It is important that any loose leaves be removed so that they do not decay in the water and cause a build up of waste. Downoi is not demanding in terms of necessary light, and in a well populated tank it should not require any additional nutrients. If it sprouts new leaves that appear yellow, a few doses of liquid fertilizer for aquarium plants should fix it. An undemanding and stunning addition to the tank, the Dwarf Sag does not always live up to its name as in certain water conditions this plant may shoot up in height, only to shrink again if moved to the back of the tank. It is relatively simple and will grace your tank with flowers on occasion, so do not trim it if you see a long, thin tendril reaching towards the water; this is likely the strand from which small, white flowers will soon be appearing. Floating Watermoss is a plant that will quickly become either your favorite plant or your only plant. With strong lighting and good nutrition, it will spread quickly across the water of your tank, stealing the light from the plants below. It is an excellent plant for maintaining tank health as it helps to prevent algae growth by shading the aquarium. Interestingly, this plant has small, soft hairs on its leaves which help to make it water resistant. Java Ferns are ideal for beginners. 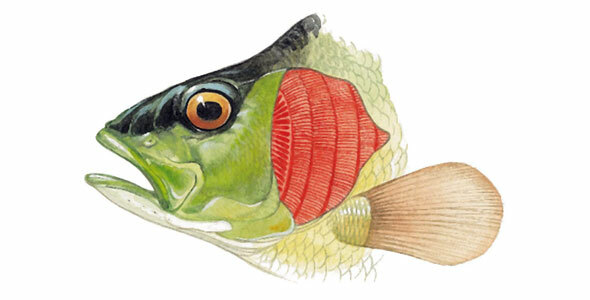 They are hardy and easily adapt to changes in water conditions. Because of their biology, they should not be planted in the substrate, but rather attacked to a rock or root with fishing line until the roots have taken hold. It is easy to spread this plant throughout your tank if you prefer having many smaller plants; just split it and attach the new plant to a new rock or root. Your Java Fern may develop small black spots, but do not be alarmed as this is simply the plant attempting to reproduce and is not a disease. Water Clover is a rapidly spreading plant that will likely resemble a patch of clover when you first receive it. Once you plant it, however, it will go through a transitional period that may change its shape from one of a clover patch to that of large, single leaves, or even two or three leaved clovers. The Amazon Sword is a Rosette plant that is capable of reaching twenty inches in height in ideal water conditions. Fairly hardy, it will grow well in most water conditions and is actually amphibious, meaning it can grow both partially and fully submerged. This is a plant that should be planted in the substrate and may require an iron supplement that can be added to the substrate as a fertilizer. A frequently flowering plant, the Anubias Nana is a hardy plant that remains fairly small but does well in a variety of water conditions. It is slow growing, but this is made up for in longevity since the leaves of this plant will survive for several years. Plant this aquatic plant on a rock or tree root using fishing line to secure it in place until the roots take hold. Planting it in the substrate is not recommended as it will begin to root if the rhizome is covered. An extra bonus is that this plant is not likely to be considered a meal by your herbivorous fish, so you can plant it and not worry about it being chewed on as a snack. The Wisteria is so beautiful that its undemanding nature is something of a shock. This is an excellent and encouraging plant for beginners, rewarding them with a beautiful plant for little effort. It grows rapidly, helps to prevent algae, and keeps the water healthier by absorbing nutrients. In fact, this plant is so efficient that it can leave your water void of nutrients and does occasionally require fertilizer if the leaves become pale. It should be planted within the substrate and can grow up to 20 inches in height. Crystalwort can be grown as either a floating plant or a rooted, submerged moss. If it is grown submerged, it should be attached to rock or root with fishing line. Be aware that new growth will attempt to grow towards the surface and may need to be trimmed. 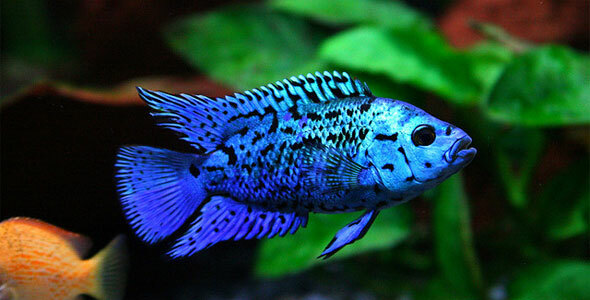 It is an excellent choice for nursery tanks as the fry can happily exist within it, nibbling nutrients off the fronds. It may, on occasion, require added carbon dioxide and in ideal conditions will form small “crystals” made up of oxygen that it is releasing back into the tank. A slightly more challenging plant for adventurous beginners, the Lillaeopsis requires high-intensity lighting, which can in turn cause an algae outbreak in your tank. It makes an excellent grass bed in your tank but is somewhat temperamental; it cannot be planted in shade or it will not do well. Some varieties may present small flowers after a time. In order to achieve a rich ground cover, small clumps should be planted about an inch apart. This will cause them to grow together more quickly and achieve a fuller appearance.